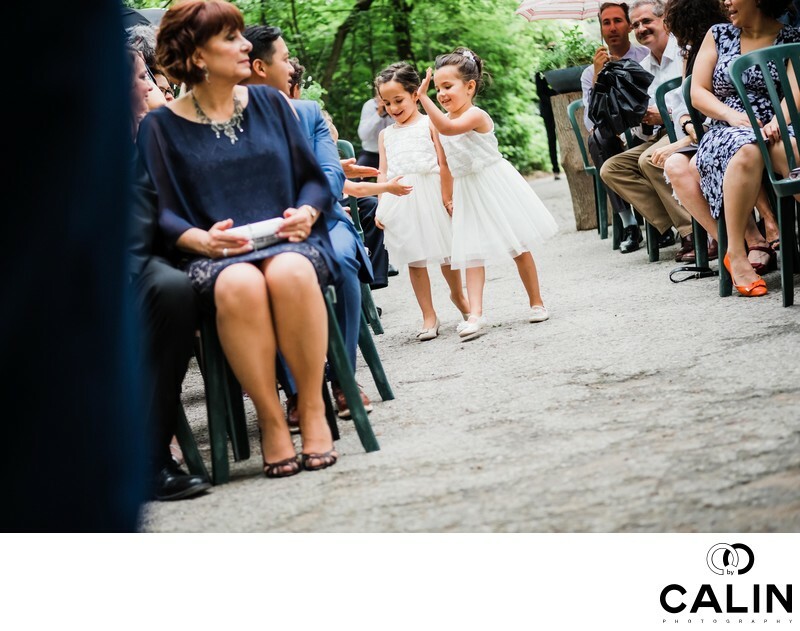 This wedding day at Kortright Centre for Conservation in Woodbridge was filled with manifestations of happiness from the morning when we documented the branding and preparation, to the first look, followed by the outdoor ceremony in the forest and continued throughout the day. In case you don't know, marriage photos belong to various styles depending on the artist's approach in documenting the big day. In the past, due to technological limitations, the images were very posed and constitute what is known today as traditional photography. Few people know that in the past it could take a photographer a few minutes to expose the image so the couple's were forced to hold the pose for a few minutes. I have read stories of machines immobilizing the bride and groom's necks and bodies for the sole purpose of creating a sharp image. Of course those days are gone but the tradition towards photo journalism took a while. Only these days, with the advent of digital cameras that can shoot in low light the artist can adopt a hands-off approach to document the special event. One of the main skills of the photo journalist is the speed of reaction and the capability of the artist to anticipate the moments unfolding in front of them. For some, that comes naturally while others take a lifetime to master it. For example I have the second shooter that often misses reactions despite the fact that people are laughing loudly. Unfortunately, this wedding photographer who shall remain unnamed, gets too involved on the special day. I used to do the same at the beginning of my career when I would laugh along when I was hearing the speeches and I was missing beautiful moments. Fortunately, now I know better! While I listened to the speeches to anticipate the laughter's, I never get too close to the action so that they become a protagonist. I would rather document the wedding day then be one of the people who drive it. An interesting phenomenon happened when I switched from zoom lenses to primes. Some lenses have a few advantages among which they allow you to catch moments even if you are farther from the action. However, I consider that a negative because it fosters lazy photographers. Of course, when you know that you're going to reach the subject through a twist of your hand your brain tends to sleep. On the other hand, the prime lenses are punishing and if you're not in the right spot at the right time you're going to miss important movements. God forbid you miss the first kiss, the ring exchange or other important moments during during the wedding ceremony. After getting burnt quite a few times, I became sharper in anticipating moments and now I can sense when there is one coming and I position myself in the right spot beating my second photographer and the videographers, not to mention the hobbyists photographers who are everywhere on a wedding day. 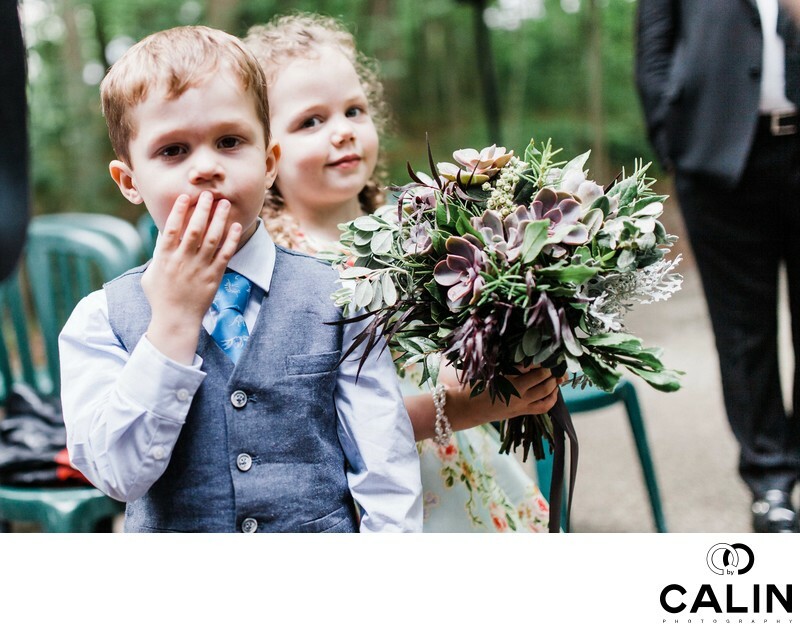 This new superpower allows me to catch splendid moments such as the one in the picture below where the child is reacting to the bride and groom's kiss. Photographing a high five is probably one of the most difficult skills to acquire as the event takes only a fraction of a second in this image proves the fact we are one of the best studios in the Greater Toronto Area.